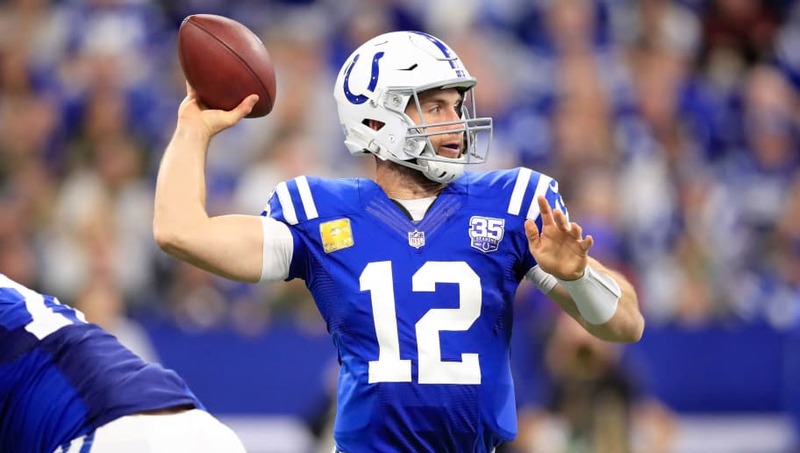 Indianapolis Colts quarterback Andrew Luck made NFL history this Sunday with an impressive three-touchdown performance that led his team to a tight 29-26 victory over the Jacksonville Jaguars in Week 10. Those three touchdown passes elevated Luck among the ranks of Tom Brady and Peyton Manning as the only other quarterbacks with three or more touchdowns in six consecutive games. Andrew Luck joins Peyton Manning and Tom Brady as the only quarterbacks in NFL history with at least 6 consecutive 3+ TD games. Any list that is narrowed down to Manning and Brady is an incredible achievement for any NFL quarterback, and it's especially impressive for someone who is in the midst of a comeback season like Luck. Prior to the beginning of the 2018 season, he had taken more than a year off from competitive football due to multiple injuries and serious surgeries alike. From someone who couldn't physically throw a regulation football earlier this year to a quarterback performing well enough to make NFL history by Week 10, Luck is having an amazing comeback thus far. The former Stanford grad has now thrown for 21 touchdowns over these last six games and the Colts have won three in a row. Get $5 with your first deposit on FanDuel. Join Now.